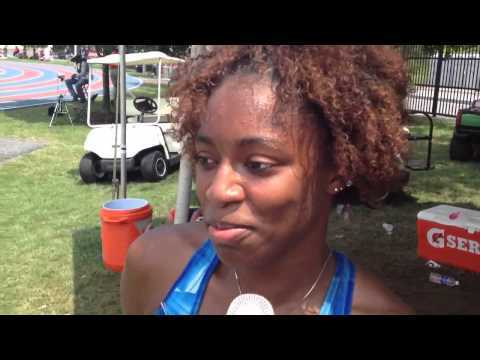 Clermont native Kaylin Whitney put together two jaw-dropping races, running a 23.41 200-meter dash on Saturday and followed that up with an 11.59 in the 100-meter dash on Sunday. Lots of national records and other great performances being set at the AAU meet in Texas! Update: “Dante did it!” Dante Price of Harpers Ferry moves into the finals of the 17-18 100M dash with a time of 10.61 seconds. Making him a double sprint qualifier for the in the top age group sprint competition of the year. The 200M finals will be run tomorrow at 12:30PM and the 100M on Sunday at 12:00 PM Striders continue to roll as Dante Price of Harpers Ferry moves into the finals of the 17-18 200M dash with a time of 21.28 seconds. Emily Godwin a junior from Buckhannon-Upsur and the US#6 ranked high jumper coming into the 2012 USATF National Junior Olympic Championships took home the gold today in the high jump with a clearing height of 5' 8.75" in Baltimore Maryland at the Morgan State University Track and Field complex. Her impressive resume now has the title of National Champion. I will add photos later. Lake Brantley High School rising senior Maite Moscoso proved again why she is considered the top junior walker in the United States. 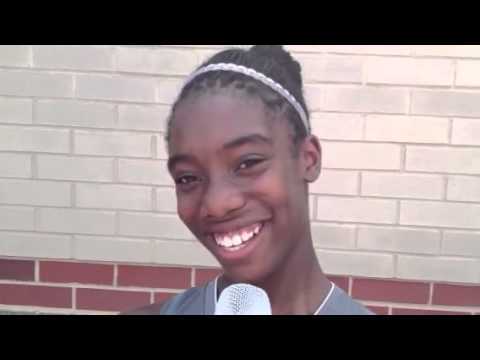 She won the Young Women's division national championship at the USATF Junior Olympics on Tuesday in Baltimore, Maryland. Do you see any we may have missed? Contact jolson@milesplit.us with details and link to results. 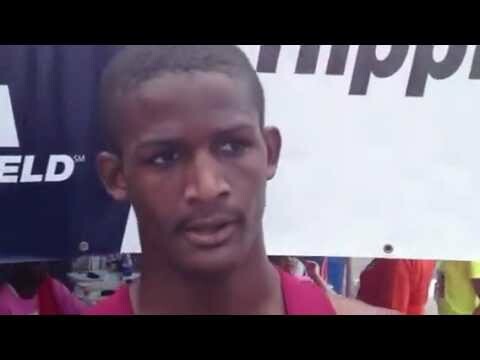 Group AAA indoor 55 meter and outdoor 100 meter dash champion Mustaq'eem Williams of Forest Park has been rolling this week at Morgan State University for the USATF National Junior Olympics. 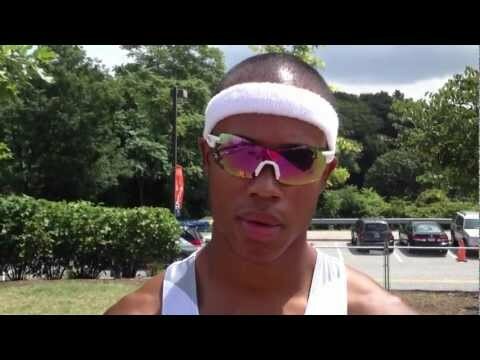 After cruising through the first round of the 100 meter dash with a 10.62 clocking to advance, Williams turned it up a notch in the semi-finals with the state's fastest time in the 2012 outdoor season with a field-leading time of 10.39, which is also fifth fastest in Virginia high school history. Dante Price of Harpers Ferry has earned All-American honors in the 200m with a personal best 21.22 while running the turns precisionally out of lane 5. 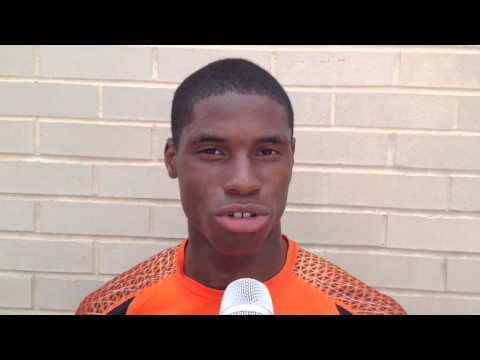 Price has another opportunity tomorrow as he competes in the 100m dash finals. Pictures to be added later. BALTIMORE, Md. 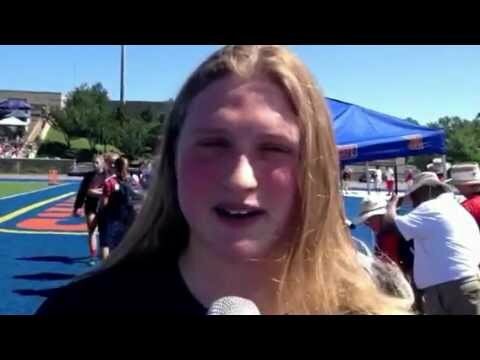 - Thousands of athletes, parents and fans flocked to the track and watched additional national records fall at the USA Track & Field National Junior Olympic Championships Wednesday as competition continued at W.A.C. Hughes Stadium on the campus of Morgan State University. Wanda alumna Anna Fairey recaps her high school career and talks about the future. The AAU Junior Olympics were held in Humble, Texas this year and the USATF National Junior Olympics were in Baltimore, Maryland. Below are all the Kentucky athletes who finished in the top 25 in their event. After the first day of competition in the Girls 17-18 Heptathlon Capital City Strider Emily Godwin of Buchannon WV after four events is firmly in second place behind Kendall Gustafson of California. 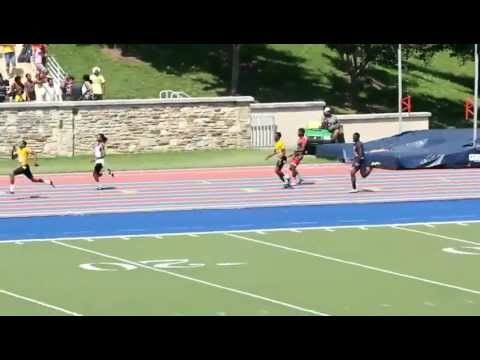 BALTIMORE,Md- Other athletes were not the only thing competitors had to battle at the USA Track & Field National Junior Olympic Championships Thursday as temperatures soared well over 100 degrees as competition continued at W.A.C. Hughes Stadium on the campus of Morgan State University. Striders continue to bring home medals and All-American honors for several West Virginia student athletes on the third (3) day of competition. BALTIMORE - 8,000 of America's next generation of track and field stars will take center stage at the 2012 USA Track & Field National Junior Olympic Championships July 23-29 in Baltimore, Md., at W.A.C. Hughes Stadium on the campus of Morgan State University. Class AA State Long Jump Record Holder Brianne Brown of North Oldham has earned All-American honors at the USATF National Junior Olympics in Baltimore, Maryland. 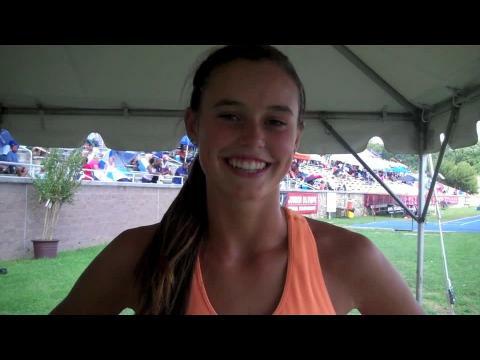 Junior Olympic National SP champ JO national and meet record. 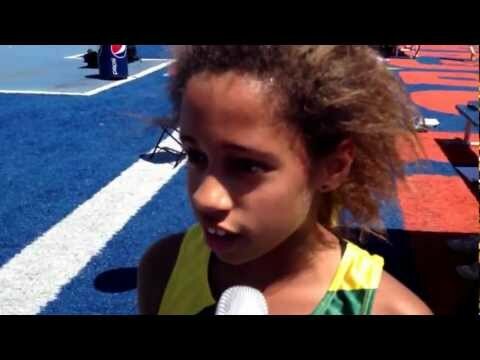 HJ Bantam Record Interview 10 yr old jumps near 5 feet! Ben Freed is the definition of a modern-day runner, using all of the tools -- physical, mental and technological -- at his disposal to get the best of his competition.